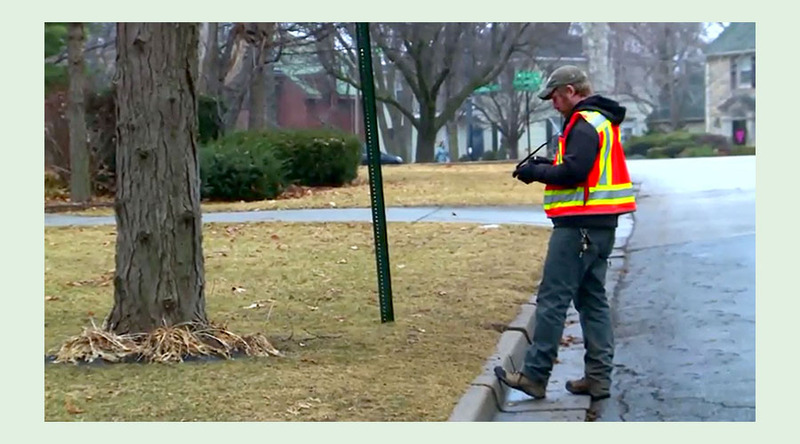 For more than 15 years, ArborPro has managed GPS tree inventories, tree risk assessments, tree management plans and tree canopy assessments for municipalities, universities and home owner’s associations throughout the United States and Canada. A tree inventory is the first step in proactively managing your urban, community and campus forest. Having a tree management plan lays out an easy-to-follow a road map as you maintain and grow your urban forest. A tree canopy assessment gives you vital information about your urban forest that helps you develop a comprehensive management plan. 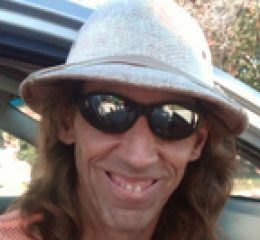 Call for expert advice! 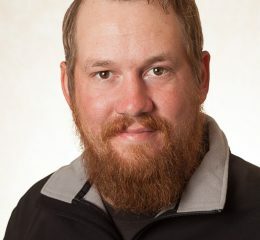 Our professional certified arborist can address your concerns about a single tree or the entire urban forest growing in your community, park or golf course. A tree inventory saves you time and money now, while providing continuing benefits, year after year. When you locate and identify hazardous trees, you greatly reduce liability for personal injuries and property damage. In addition, you reduce tree maintenance costs because you can proactively create strategic work orders for your tree crews, making their job easier and more efficient. A healthy tree canopy adds great value to the outdoor experience. When you can show the value of the trees in their community – how they improve air quality, provide shade and increase property values – they begin to care for the trees. And, that’s a win for everyone! Tree inventory results and highlights. Benefits of a Healthy Urban Forest. How to implement your management program. How to improve maintenance efficiency. Maintenance priorities based on arborists observation. Long term, proactive urban forest maintenance plan & schedule. 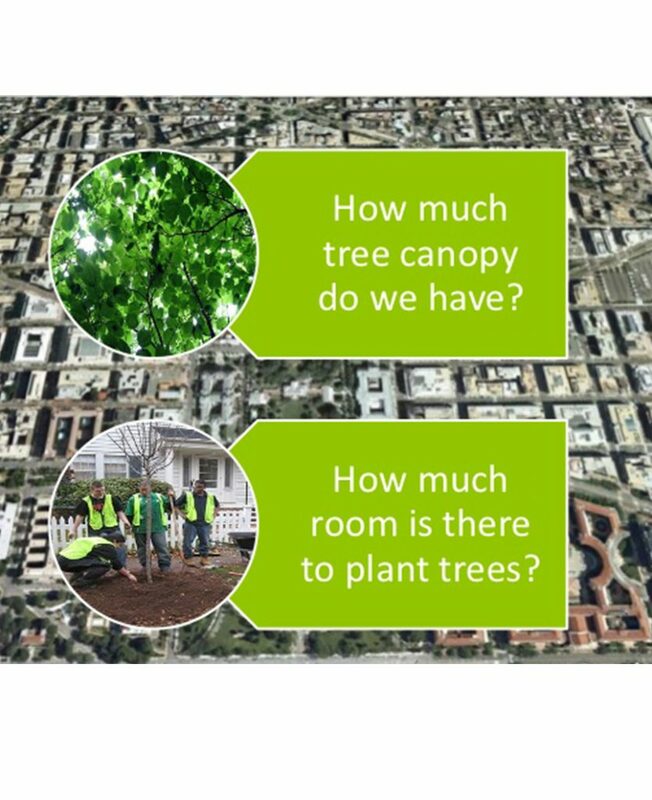 What is a good tree canopy goal? 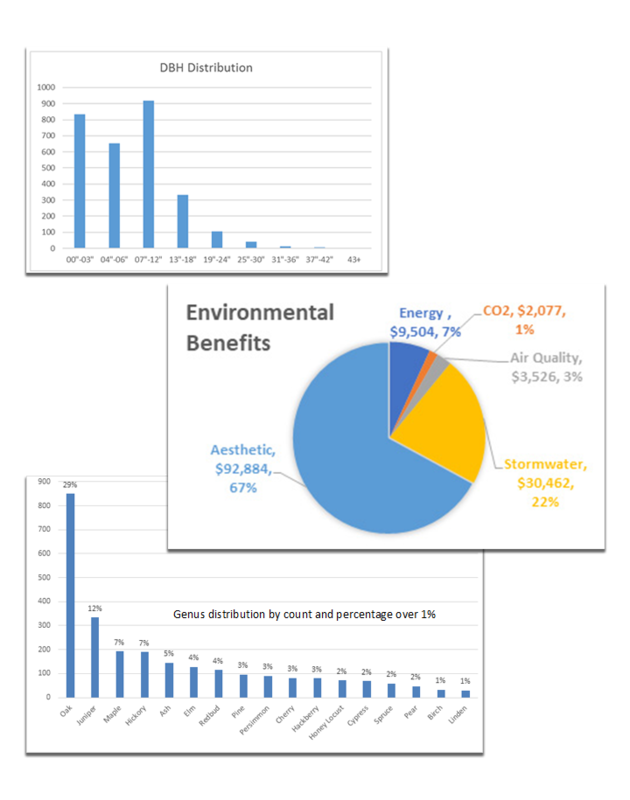 Where is it financially efficient to plants trees? Where is it socially desirable to plant trees? What is the potential tree canopy? Improving your tree canopy greatly benefits your community, everything from reducing energy use and storm-water run off to increasing carbon sequestration and property values. A healthy tree canopy provides wildlife habitat, reduces energy costs year ’round, beautifies your community and improves quality of life. ArborPro, Inc. provides a variety of arboriculture consulting services for both public and private properties. Using current arboriculture science established by the International Society of Arboriculture and the Tree Care Industry Association, ArborPro provides the most accurate, up-to-date information about tree’ current condition. If you are an urban forester, facilities manager or homeowners’ association member, you may be responsible for the specific landscape and tree requirements that meet safety and aesthetic standards. 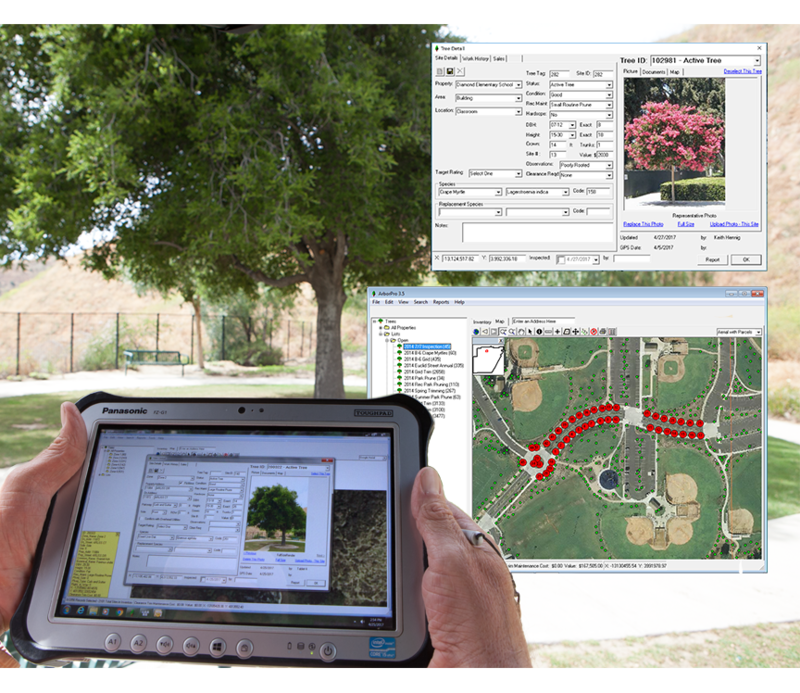 To ensure proactive management, you need a basic knowledge of tree assets within your community. By starting with a simple GIS tree inventory we can assess tree condition and recommend proactive maintenance. 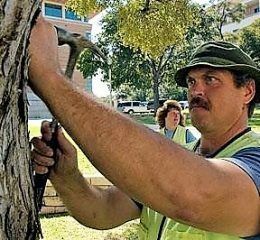 This will reduce the risk of tree failure that could potentially damage property or injure people. If legal issues do arise, you’ll be equipped with all the data you need to protect your best interests. Our dedicated team includes ISA Certified Arborists, TRAQ Arborists and a Board-Certified Master Arborist who can provide any urban forest services you may require. Our ISA Certified Arborists have many years of experience working together at ArborPro. This continuity in teamwork results in a very accurate and high-quality dataset. At ArborPro, we understand that a collaborative effort with our clients provides the best service, delivers the best product and best suits your needs. To accomplish this, we join you for a kick-off meeting before the project starts. Together, we can determine and agree upon project standards and scope of work. Constant communication and weekly progress reports keep you up to the minute – and empowers you to address any issues in real time. 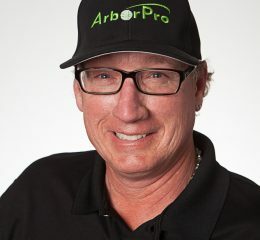 The ArborPro process relies on experienced teams, constant communication, accurate data analysis and quality assurance. The result? We deliver a superior product, customized to your needs.